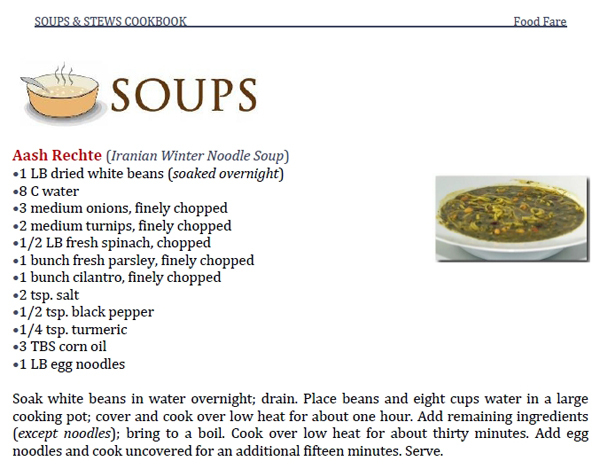 Food Fare's Soups & Stews Cookbook contains more than 170 recipes for unique as well as traditional soups and stews from across the globe. The book is available in Kindle, Kobo and Nook editions. 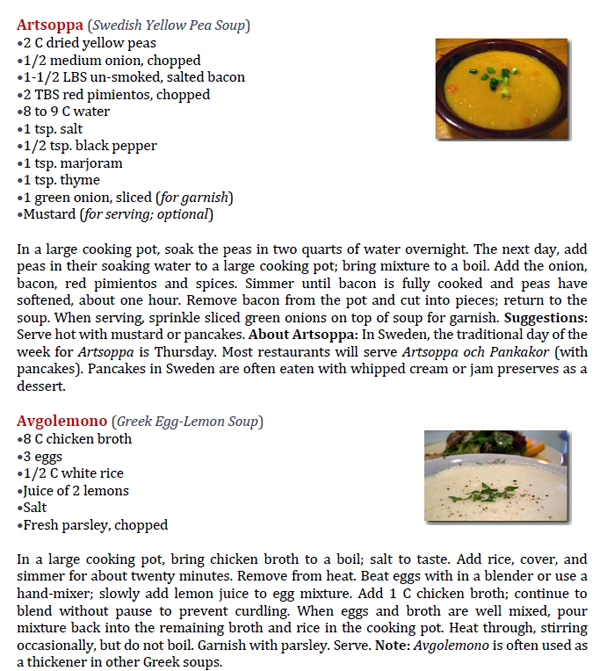 To view a complete list of recipes, click here (PDF, 457 KB). 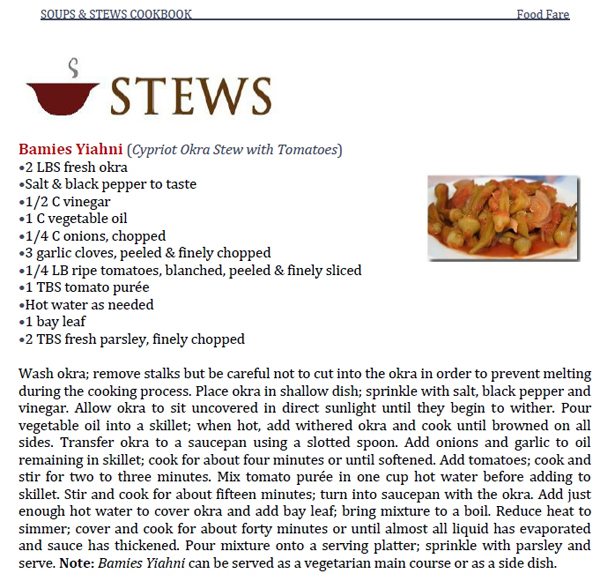 To take a look inside the Soups & Stews Cookbook, select from the screenshots below. 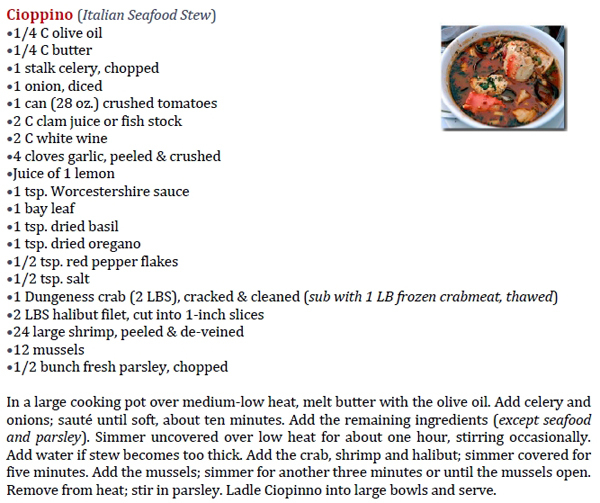 Click on images to view their larger sizes in a new window. The Soups & Stews Cookbook in PDF format has 106 pages and is 2.2 MB in size. 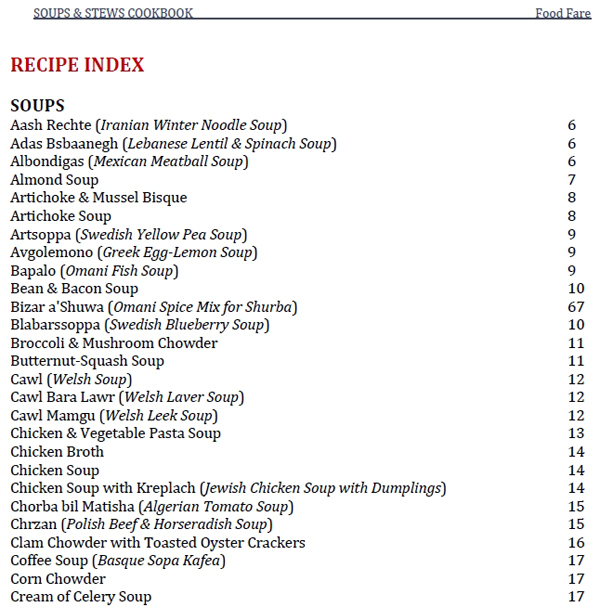 In order to open and use the Soups & Stews Cookbook, the purchaser must have Adobe Acrobat Reader. 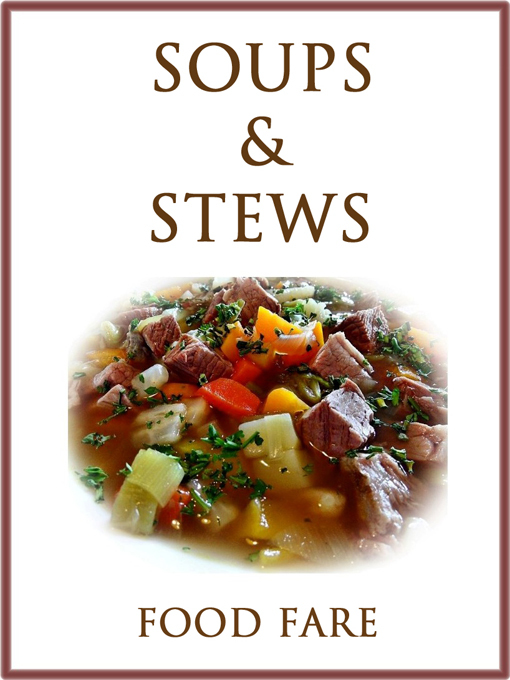 FAQ: The increase in price for the PDF version of the Soups & Stews Cookbook is due to the larger size of the book, and that it contains all graphics and a recipe index with page locations. 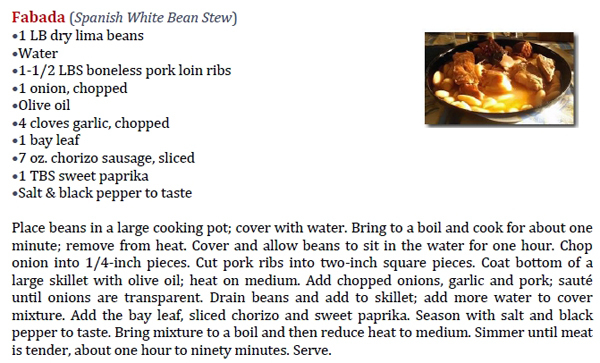 Kindle Edition > $2.50, ASIN: B00S75IR6Y. Barnes & Noble/Nook Edition > $2.50, ISBN/BNID: 2940149860807. Kobo Edition > $2.50, ISBN: 1230000291160; multiple formats (Kobo Arc, Vox, Android, iPhone, Smartphone & tablet). 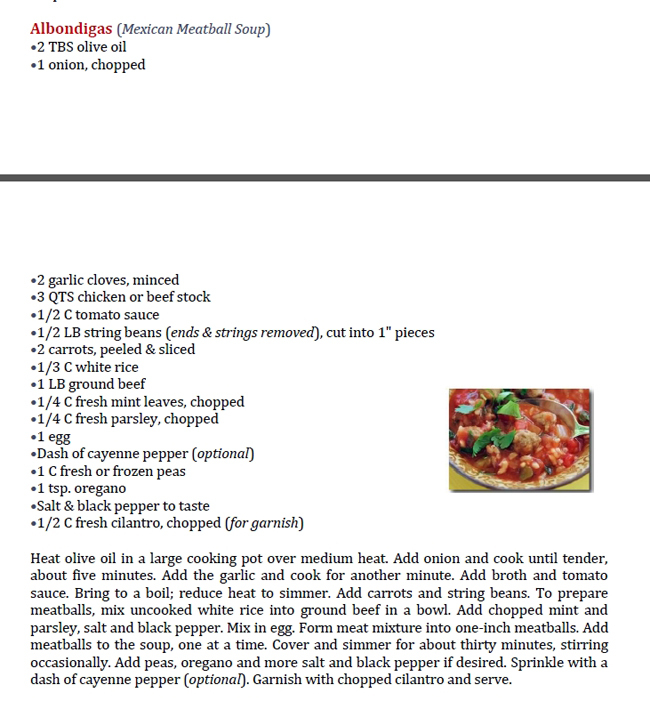 PDF (Adobe Acrobat, see above) Edition: $8.50, File Size (2.2 MB); 106 pages; photos and recipe index included.